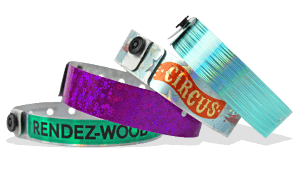 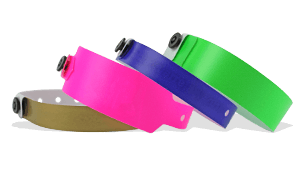 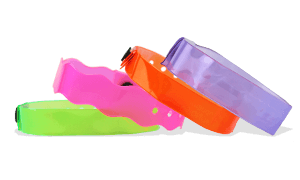 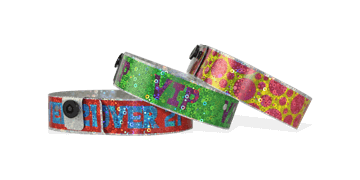 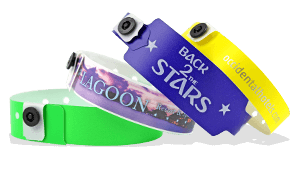 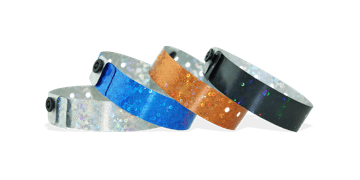 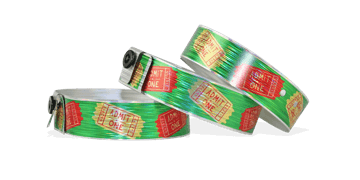 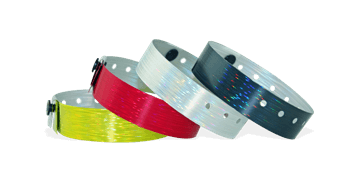 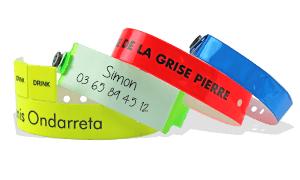 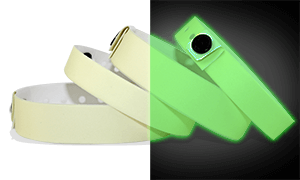 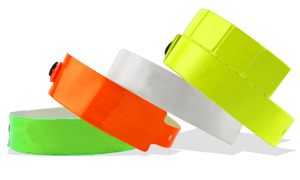 Looking for durable and longer lasting wristbands? 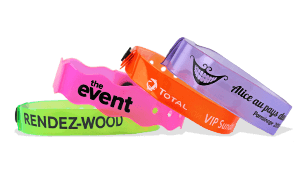 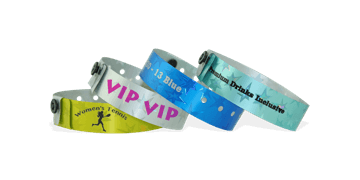 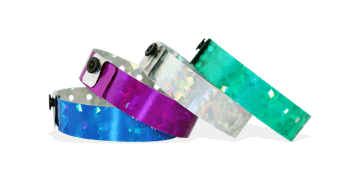 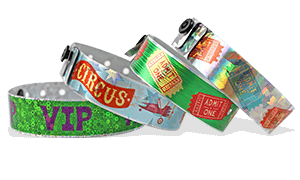 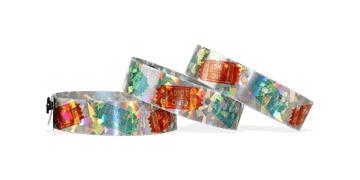 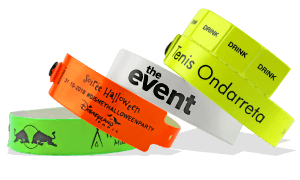 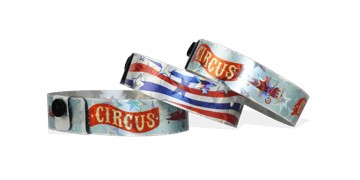 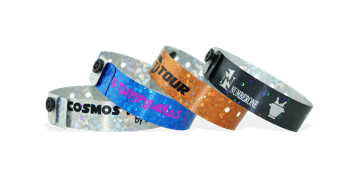 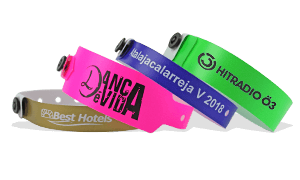 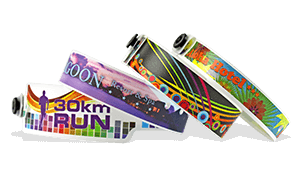 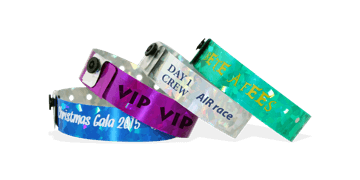 Choose from our soft Vinyl wristbands, ideal for multi-day outdoor events or our strong and more durable Plastic wristbands. 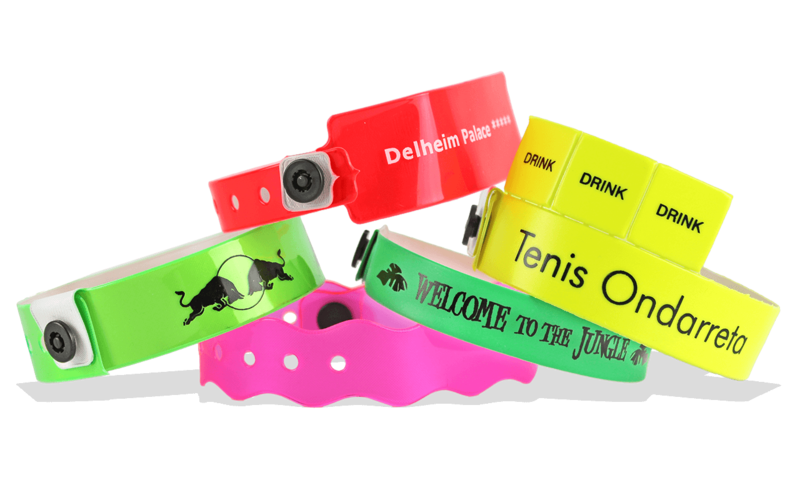 There are endless possibilities for customisation, making them ideal for sport events, theme parks and festivals. 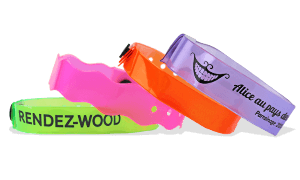 Hundreds of colours and styles available. 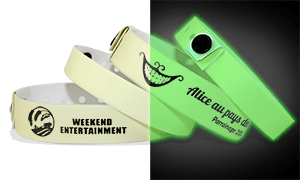 Customise and order online. 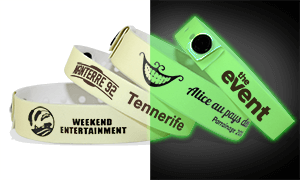 Enjoy 10% discount on your wristbands if you order online! 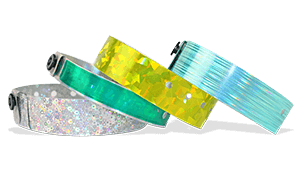 Perfect for partying through the night!